The Charlotte Latin Mass Community (CLMC) and St. Ann parish had the distinct privilege of welcoming His Excellency, Bishop Athanasius Schneider, O.R.C., the Auxiliary Bishop of Astana, Kazakhstan to St. Ann parish on October 26, 2017 for the 2nd Annual Commemoration to Blessed Karl of Austria. The Mass was the first Solemn High Pontifical Mass in the Diocese of Charlotte’s history. After Mass, Bishop Schneider made brief remarks on Blessed Karl of Austria, whose feast day was just a few days prior on October 21. The CLMC and St. Ann parish organized the event to help prepare the faithful for the upcoming Feast of Christ the King, and focused on Blessed Karl of Austria who acknowledged and lived out the Kingship of Christ during his reign from 1916 – 1919. The CLMC would like to thank Fr. Timothy Reid, pastor of St. Ann parish, the staff and parishioners of St. Ann parish, and the many priests and seminarians who made the event spiritually moving and a grace filled evening. Lastly we thank Markus Kuncoro and Philip Budidharma for their service in capturing the photos and video of the Mass. (note: due to technical error the 2nd of of the video was unavailable and replaced with images of Blessed Karl. The audio remains available. Thanks to Sensus Fidelium for assistance). 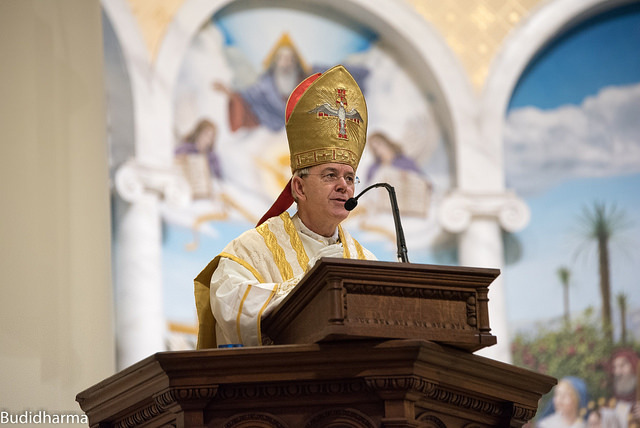 Solemn Pontifical Mass offered by Bishop Schneider at St. Ann Catholic Church, Charlotte, NC on October 26, 2017. Blessed Karl Habsburg I of Austria was the last Holy Roman Emperor, and the last Catholic King of Europe who reigned over the Austro-Hungarian Empire from 1916-1919. He had a deep love for the Eucharist and the Blessed Mother. 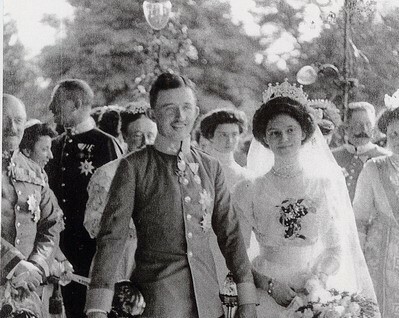 Blessed Karl married Zita of Bourbon-Parma and they had eight children, the last one born two months after his death. He inherited World War I from his predecessor, and strove unsuccessfully to make peace between the two sides to end the war and bloodshed. He was known for his virtue and sanctity. After the war, the allied powers exiled him to the Portuguese Island of Madeira where he died in poverty in 1922. 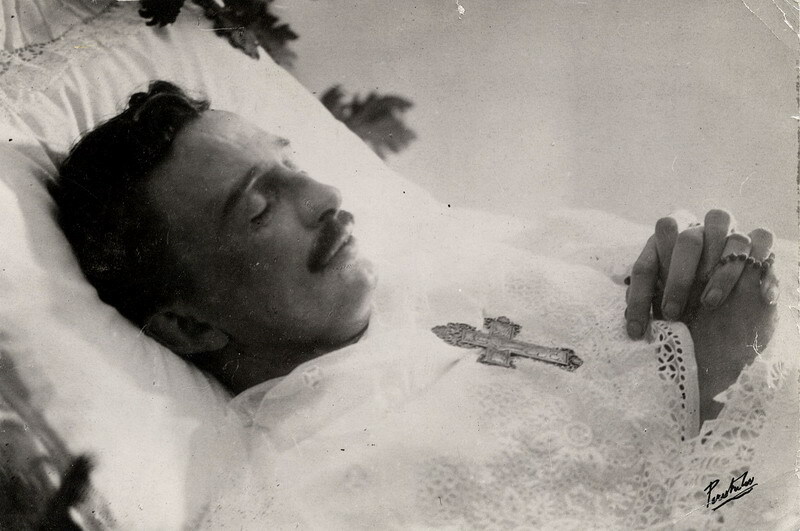 In 1972 his tomb was opened and his body was found to be incorrupt. He was beatified by St. John Paul II on October 3, 2004. His feast day is October 21 – not the date of his death but the anniversary of his marriage. Blessed Karl’s devotion to his wife Zita, and his virtuous leadership as King makes him a patron saint for marriage, and for leaders of governments. His virtue as King made him an ideal example of a Christian leader called for by the doctrine of the Kingship of Christ.